Editor's Note: This is the first post in a weekly series we're calling #TimelessWisdom. 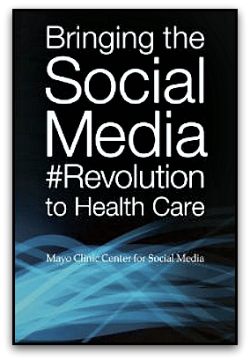 Each Friday, we'll be taking a look back and highlighting one of the contributions from our 2012 book, Bringing the Social Media Revolution to Health Care. Learn more about the series. Make an existing process better. Allow you to do something unimaginable before the technology was introduced. If you’re not doing one of these three things with a Web site, Spool said it makes sense to ask, why are you putting it on the Web? The same rule applies to social media. If you’re new to it, you may want to jump in because your competitors are doing it, because it’s cool and you don’t want to be uncool, or because your boss told you to use it. How you actually use social media, though, should be based on problems you can solve, processes you can improve, and ways you can deliver value to people that simply didn’t exist before. Think of it, as Clay Shirky does in his book, Cognitive Surplus, like electricity. Nobody uses electricity for its own sake. We use electricity because it can light our homes, power our televisions, and let us open cans of fruit cocktail without risking carpal tunnel syndrome (or a nasty cut). Your audience uses social media for these exact same reasons. YouTube videos provide quick bursts of information or entertainment (or, ideally, both). Interactions on Facebook can produce personal gratification (from seeing photos from your brother’s family vacation, for instance), answers to questions, a sense of belonging to a community, or the satisfaction of accomplishment (if the community to which you belong sets a goal and completes a task). Thus, your introduction to social media shouldn’t be about tools you can use or even which tools are most commonly used among peers. It should be about what the people you’re trying to reach are going through, what would make life better, and how you might use social platforms and channels to accomplish these things. On the other hand, from studying how patients, families, staff, and other stakeholders use social channels and platforms other hospitals make available, you can develop a strong sense of how they serve to solve problems, improve processes, and/or let these audiences do things that weren’t previously possible. To put it succinctly, effective use of social media starts with the people who will be using it. If that’s where you begin, you won’t go wrong. Shel Holtz, who blogs at the intersection of communications and technology, is a Platinum Fellow in the Mayo Clinic Social Media Network. What are three major potential benefits of social media use? Don't use social media for its own sake. Use it with a sense of purpose. Effective use of social media starts with an understanding of your potential audience. Social media is intended to serve the needs of an audience, not an ego-driven broadcaster. 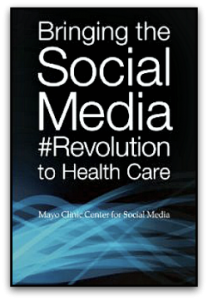 Healthcare professionals can use social media to solve problems, improve processes, and deliver value.